There are so many beautiful things that make up a wedding. Stunning venues, fabulous dresses, and lush linens just to name a few! But, one of the best things about weddings is, of course, the flowers. We here at Magnificent Moments Weddings are a sucker for beautiful florals, especially amazing bouquets. 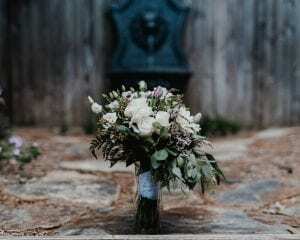 So I thought it would be fun to look back at a few of the memorable bridal bouquets we have been lucky enough to see and of course give you our readers some inspiration! Katrina chose stunning deep purples for her wedding at McGill Rose Garden in Charlotte. 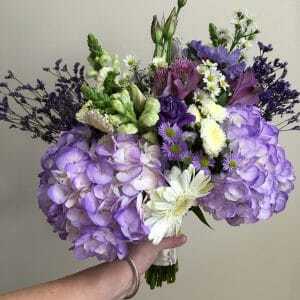 Her bouquet is a thing of dreams filled with lush purple flowers and vibrant greens. It was created by Magnificent Moments Weddings and is defiantly swoon worthy! Carolina choose a neutral tone pallet for her wedding. And her bouquet made by Jimmy Blooms did not disappoint. The addition of a sweet ribbon, however, really elevated the look and made her bouquet an adorable “something blue”. 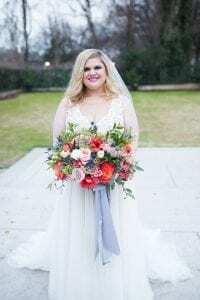 Elizabeth choose bright spring colors for her spring wedding at Separk Mansion. What’s Up Buttercup created a stunning bouquet full of lush hues that truly reflect the essence of spring! 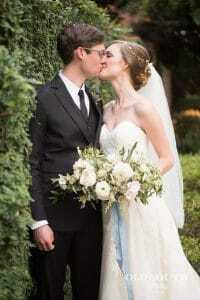 Katherine choose to have her bouquet filled with rustic greens accented by sweet white roses. Her summer wedding at Camellia Gardens reflected the same style. And it was all pulled together by the amazing floral designs at Sweet T Flowers. I think it’s safe to say we’ve seen some pretty amazing bouquets! But then again we have some pretty amazing brides too!